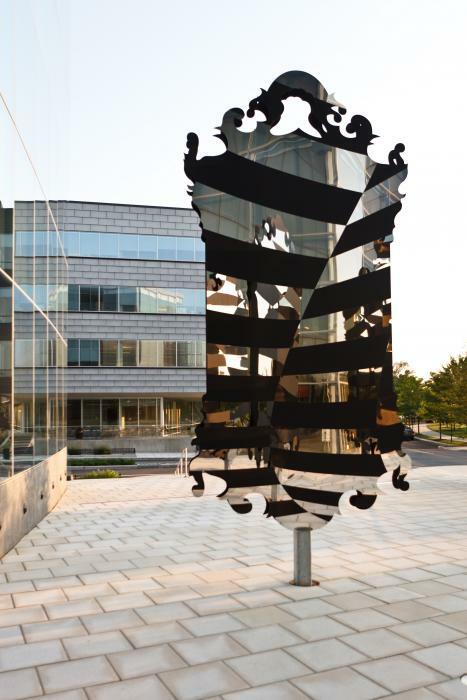 Best known for investigating the language of interior space and decor, Philadelphia artist Virgil Marti explores new territory with his public sculpture Five Standards (Dazzle) at Five Crescent Drive at The Navy Yard. 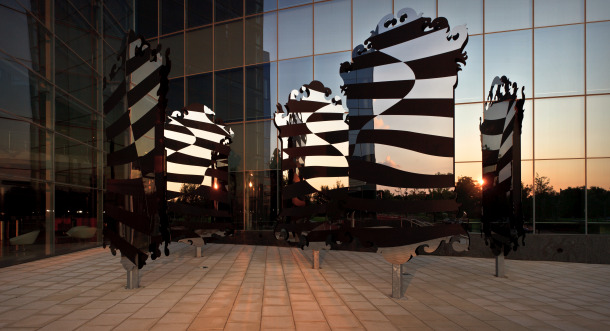 Commissioned for the new office of global healthcare company GlaxoSmithKline by the company and the developer Liberty Property/Synterra LP, and managed by the City of Philadelphia Mural Arts Program, the sculpture is Marti’s first large-scale, permanent outdoor work. Read the full press release announcing the installation of Five Standards (Dazzle) here. 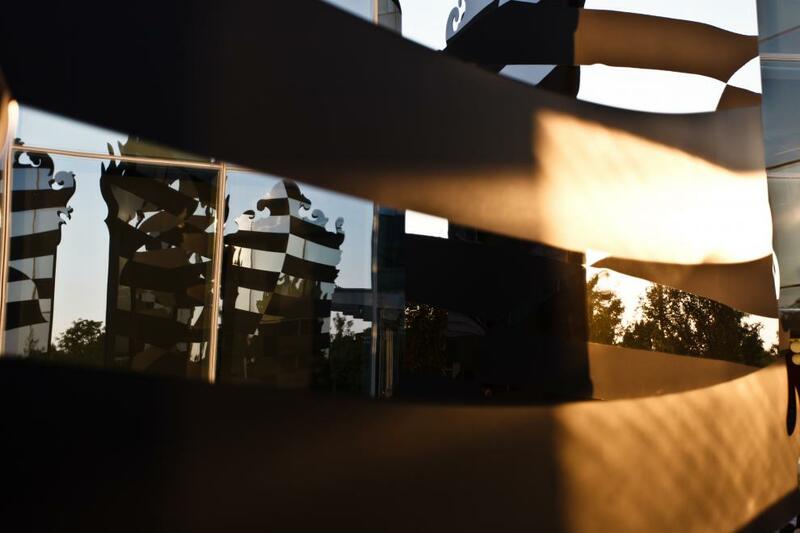 PHILADELPHIA – July 24, 2013 – Best known for investigating the language of interior space and decor, Philadelphia artist Virgil Marti explores new territory with his public sculpture Five Standards (Dazzle) at Five Crescent Drive at The Navy Yard. 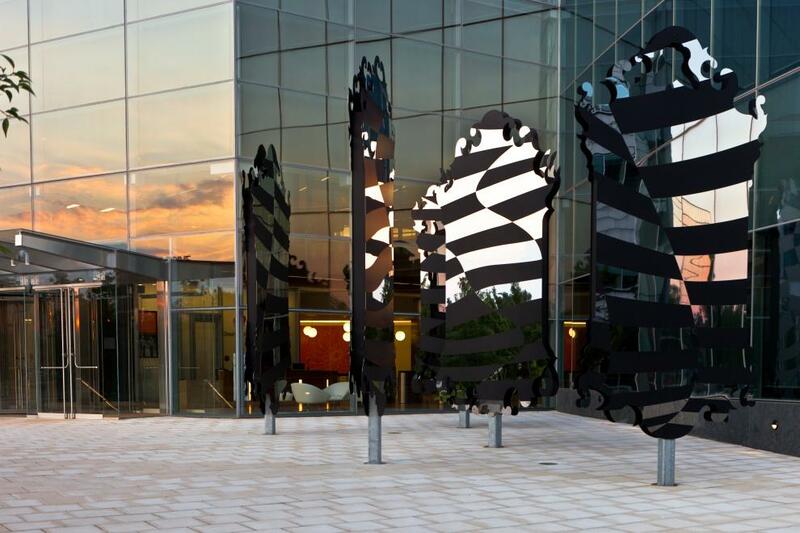 Commissioned for the new office of global healthcare company GlaxoSmithKline by the company and the developer Liberty Property/Synterra LP, and managed by the City of Philadelphia Mural Arts Program, the sculpture is Marti’s first large-scale, permanent outdoor work. 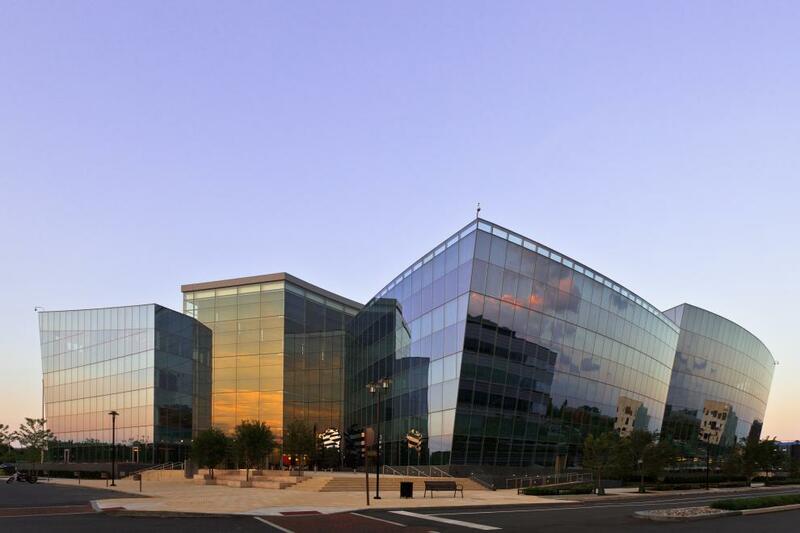 Photo credit Steve Weinik for the City of Philadelphia Mural Arts Program.